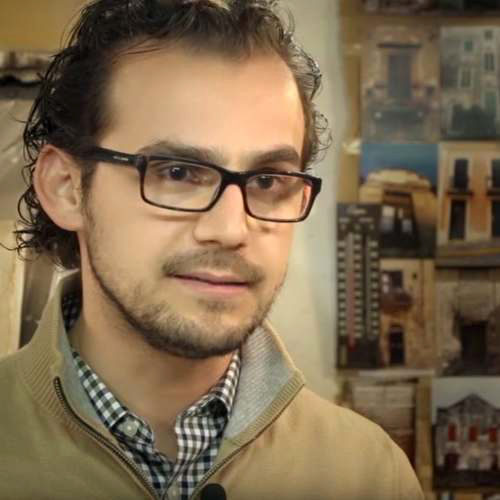 Mohamad Hafez (BArch 2009 Architecture) came to the United States to study architecture at Iowa State University and was unable to return to his beloved Syria. With the advent of the Syrian civil war in 2011, his home was forever changed. He will speak about his art, his story, and the stories he visually recreates of refugees from around the world. Through art, Hafez hopes to humanize the refugees’ plight as they attempt to forge new lives in a world so unlike their own. Each miniaturized recreation of a moment in time or memory is placed within a suitcase and accompanied by a recording of the refugee’s story told in his or her own words. Hafez’s exhibition Unpacked: Refugee Baggage is in the Christian Petersen Art Museum, Morrill Hall, Sept. 4-Oct. 19.